Hon. 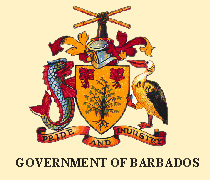 D. J. H. Thompson: To move the passing of a Resolution to approve the guarantee by the Minister responsible for Finance of the payment of the principal sum of $50 million and interest thereon to be borrowed by the Barbados Port Inc. from BNB Finance & Trust Corporation for the purpose of financing a portion of the Company’s existing debt and its ongoing capital works programme. Hon. R. D. Jones: To move the Second Reading of the University of the West Indies (Guarantee of Loans) (Amendment) Bill, 2009. Notice of this Bill was given on 8th May, 2009. The Bill was read a first time on 12th May, 2009. Dr. the Hon. D. C. Estwick: To move the passing of a Resolution to approve the guarantee by the Government of Barbados of the principal sum of nine Million dollars and interest thereon to be borrowed by the Barbados Investment and Development Corporation from Consolidated Finance Co. Ltd. to finance the corporation’s capital works project. Notice of this Resolution was given on 8th May, 2009. Hon. D. J. H. Thompson: To move the Second Reading of the National Insurance and Social Security (Amendment) Bill, 2009. Notice of this Bill was given on 12th May, 2009. Hon. D. J. H. Thompson: To present the Financial Statement and Budgetary Proposals for the year 2009.